Thank You Notes: Old Fashioned or Professional? My nephew, who just graduated in June of 2014 with a biology degree with a concentration on entomology (that’s bugs, folks! ), is currently in a job-seeking mode. Since grad school is tough in the entomology field, he took what seems to be a good entry-level management position with one of those pet supply chain stores where they sell small pets like reptiles, fish, rodents and birds. For now, it pays the bills and gives him the chance to work with animals. I helped with his cover letter and reviewed his resume. He received a call for an interview last week with a company in the business of raising insects for animal feeding. (I know, ewwww.) He texted me all excited about it. The first text I sent was a clear YAHOO! The next was telling him to get a thank you card ready to write and send when the interview was over. My gut told me he was thinking I was just his crazy aunt, (which I am,) but that he’d get around to it. Working at Furia Rubel, we keep a stack of thank you cards on hand and send them out for all sorts of things. They are sent to convey gratitude for a business referral opportunity. We write them out after some business meetings or a networking event we attend. Furia Rubel even sends out thank you notes for gifts folks send to thank us for something! We find the time it takes to write them is a good business investment and helps to leave a lasting impression. This article from Entrepreneur.com is a great introduction to the “how-to’s” of a professional thank you note. It doesn't have to be long or laborious, just legible and sincere. This article from BusinessNewsDaily.com is filled with the top 10 things you shouldn't write in a thank you note. It includes excellent tips on how to keep your note professional. Thanks to the instant gratification of email, Twitter, Facebook and all the other forms of electronic communications, too few of us today take the time to hand write a letter or mail anything via the U.S. Postal Service more than some bills. There may still be a few of us who send birthday cards and holiday greetings, but it’s rare to see an actual handwritten note. Perhaps because it is a rare gesture these days, we find that the act of sending a hand-written card makes the recipients very happy, and as a consequence, they remember us fondly. I know that is true in my own life, too. Besides the excitement I feel when I receive a handwritten envelope in my pile of mail, the idea the sender is offering their sincere appreciation or good wishes sticks with me. And that is what good marketing – and good manners – is all about. What do you do to follow up with people you met and things you learned about at a meeting or conference? Do you just take the business cards that you received and stuff them in a drawer or do you do something with them? Do you take the conference materials and put them on a shelf? 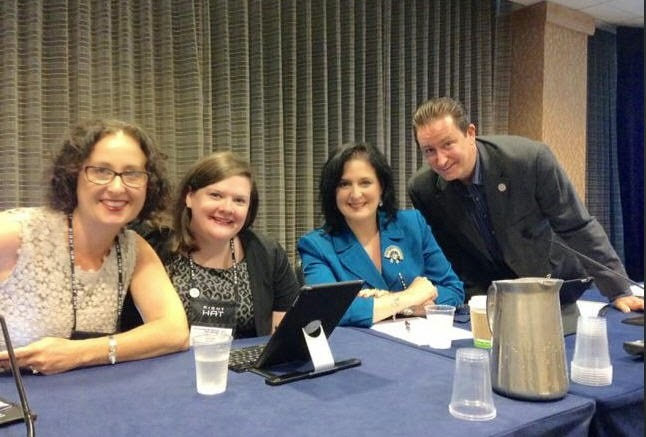 This past week, I spent several days in San Diego at the Legal Marketing Association International Conference (#LMA15) where I had the opportunity to both teach and to learn. I co-presented a program with three other experienced legal marketers: Roy Sexton of Trott & Trott (Ann Arbor), Heather Morse Geller of Greenberg Glusker Fields Claman & Machtinger (Los Angeles) and Megan McKeon of Katten Muchin Rosenman (Chicago). We discussed collaboration and coexistence among marketers and lawyers, touching on law firm culture, the generations in the workplace, how to communicate effectively with lawyers, and much more. 1) Connect with everyone that I met for the first time on LinkedIn and follow them on Twitter. 2) Send hand-written notes to people with whom I want to follow up. 3) Add select individuals to my personal contact database and CRM system and update contact information for those who are with new companies. 4) Download all important materials and review them for a second time. 5) Share conference take-aways with my marketing and public relations teams. 6) Make notes on the restaurants we visited (and perhaps rate them on TripAdvisor) in the event we end up back in the same city for a future conference or meetings. 7) Capture the Twitter stream using TweetArchivist.com (assuming I remembered to set one up pre-conference) and review it for trends and nuggets of important information. 8) Send thank you notes to anyone who took the time to do something special such as invite me to dinner or pay for a taxi. 9) Download and begin using valuable apps that I learned about at the conference. 10) Follow up and schedule meetings with people who I said I would follow up with. While these 10 post-event tips to get the most out of conference attendance seem simple, it takes hours to complete them and most people say they are simply “too busy” to do anything once they return to their offices. Take the time to capitalize on all of the great relationships you developed and information you learned. Otherwise, it all just falls on deaf ears. In October, I had the pleasure of speaking at the 2014 Bench-Bar & Annual Conference held by the Philadelphia Bar Association. I was joined by Ryan Gatto, Global Director of Compliance at Sungard Availability Services, and Justin Moriconi, Senior Associate at Segal McCambridge. During the conference, my fellow speakers and I discussed the importance of putting social media policies in place for businesses and the rationale behind having a designated social media expert (or even more than one). Social media can be wielded as a powerful marketing and business development weapon if properly harnessed. It can be used effectively in regular communication with external audiences such as past, existing or potential clients, customers and employees, the media, government officials and referral sources as well as in crisis communications. In crisis, for example, many companies used their social profiles, which had followings, to communicate during Hurricane Sandy because they didn't have email service and some did not have phone service, either. Social media has become a primary channel not only for regular outreach, but also for critical communication during a crisis. For recruiting purposes, social media gives us a look inside the culture and environment of a company. A website can only take this so far; social media allows us to take it further. For example, office parties, office pets, event photos or sponsored 5K races are snapshots into the daily interactions of coworkers and that is so critical to recruiting, especially for younger generations that place a lot of value on a job’s flexibility and life balance. Most employees don’t start their day with the intention to damage the company they work for. They most likely haven’t been properly informed enough to understand the effects of their online behavior because the guidelines and expectations about company-sanctioned behavior have not been correctly communicated. It should be up to the employer how it provides this education. Clearly, companies shouldn't be taking the “head in the sand” approach to social media. To deal with possible crisis issues, employers need to take the time to develop a thoughtful policy. And since technology often outpaces the law, that policy needs to be reviewed and updated on a regular basis. 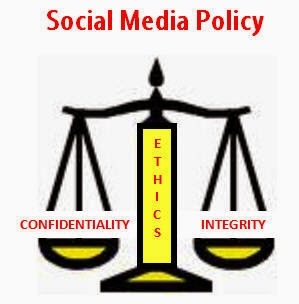 Once social media policies are created, they should have a proper firm-wide roll-out to management and staff. A branded platform that does not look like it is abandoned by the company but looks like it is cared for every day will emphasize an employee’s perception that they are being watched and promote conservative use. Consistent branding, messaging and positioning for a company on the platforms that are sanctioned for use also will make a difference. Of those social media experts, 18 percent report directly to the CEO, indicating that social goals and strategies are gaining traction in the boardroom. There is still discrepancy between the dedication to social and the belief within a company’s leadership that it is actually effective, but measurement and effectiveness is another conversation. Leadership cannot rely solely on the marketing staff to handle policy management and social media engagement. A social media committee can be set up to monitor and manage everything and hold each other accountable if there is no designated social media expert or if your company is too big for just one expert to handle. The team setups we see vary based on the culture of the company and its attitude, which also depends on the generational demographics in the company. In open environments, social media is accepted as the norm and everyone can be a brand ambassador and share information online. However, that doesn't lessen the need at all for monitoring and management. Does your company have a clear social media policy or designated social media expert(s)? Share your experiences or thoughts in the comments section below.